What should you start searching online for when considering expensive gift ideas for men? 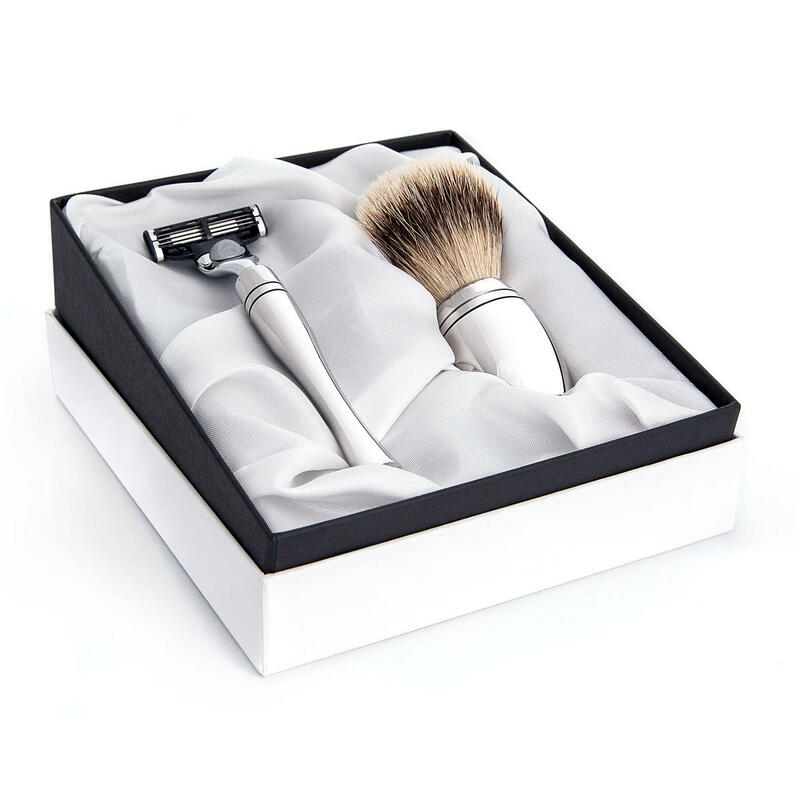 Designer watches, shoes, sunglasses and aftershaves adorn every lifestyle website aimed at stylish Gentlemen, so why not purchase a unique, expensive gift idea such as a luxury razor or Grooming Gift Set? Style, quality and presentation are the key elements when considering expensive gift ideas for men. 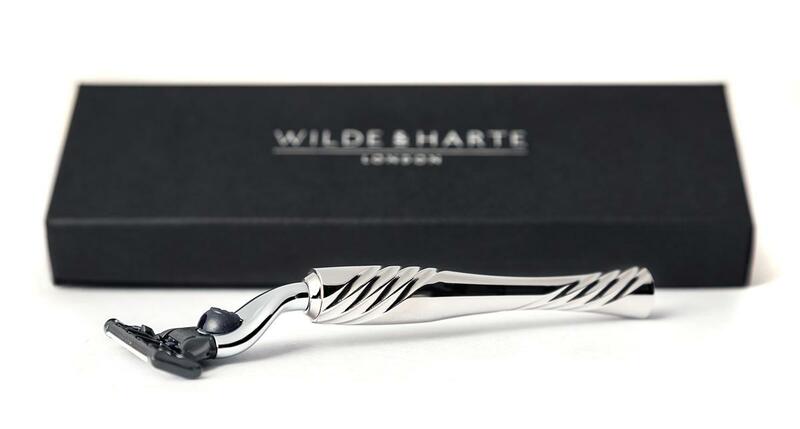 Wilde & Harte razors are purchased in three distinctive design collections, each inspired by the grandeur of iconic houses and palaces in London. Wilde & Harte razors are manufactured from the highest quality stainless steel and polished by hand to an impeccable mirror finish. 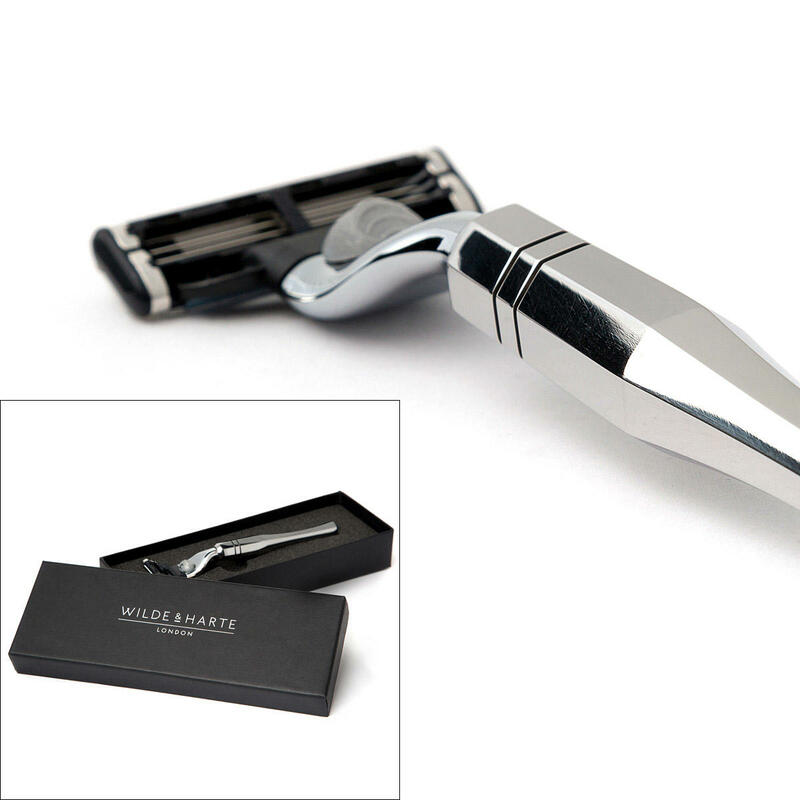 Each razor feel weighty and luxurious — the essence of a quality, desirable gift. Finally, a premium branded gift box adds a sense of luxury to the gift presentation. Wilde & Harte gift boxes are handmade and branded with foil blocking. A Wilde & Harte shaving brush is manufactured to the highest standard of craftsmanship, equal in quality to a Wilde & Harte razor. Together, these items create the quintessential luxury Grooming Gift Set for Gentlemen. Each shaving brush boasts the finest quality badger hair for creating a perfect creamy, indulgent shaving cream in preparation for your shave. The shaving brush handle is a tactile, highly polished stainless steel handle featuring engraved detailing and available in traditional and contemporary styles. Wilde & Harte Ltd are members of the 'Made in Britain’ campaign. An initiative which is endorsed by the British Government and only accredited to a business — such as Wilde & Harte — who can provide evidence that items for sale under the business brand have been 'Made in Britain'. We are proud to be members of an elite, small number of brands who genuinely design, manufacture and package our luxury razors and Grooming Gift Sets in Britain. Simply contact us at your earliest convenience for further assistance choosing the correct 'expensive gift for him'.